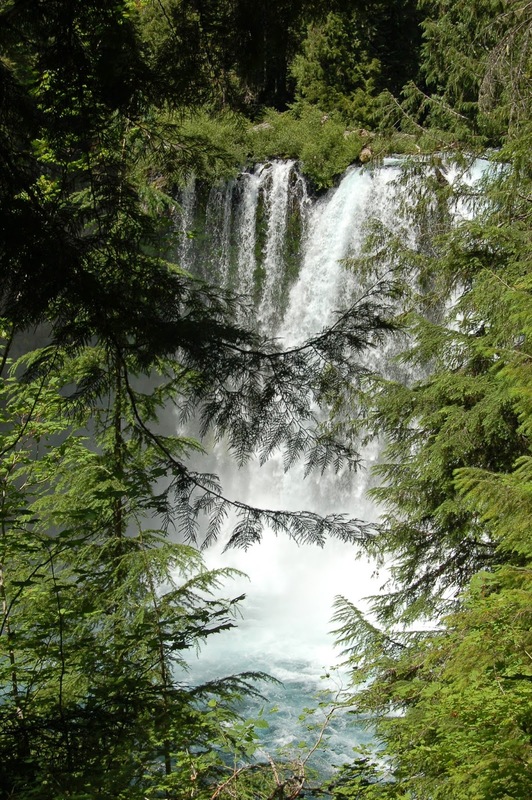 The forest canopy around Koosah falls is heavy, and there are relatively few spots with a more or less unobstructed view. In fact, there's only one spot I've found where one can see almost the entire cascade without some kind of foliage in the way, and it's well back from the plunge. This is a pretty good shot for this waterfall: you can get a good sense of its form, even with the obscuring conifers. However, I think my best shot is the one I'm planning for tomorrow.